From the valley floor to Alpine huts. From Olivone, the path follows ancient historical routes through beautiful larch woods to Capanna Bovarina at 1,870 metres above sea level. 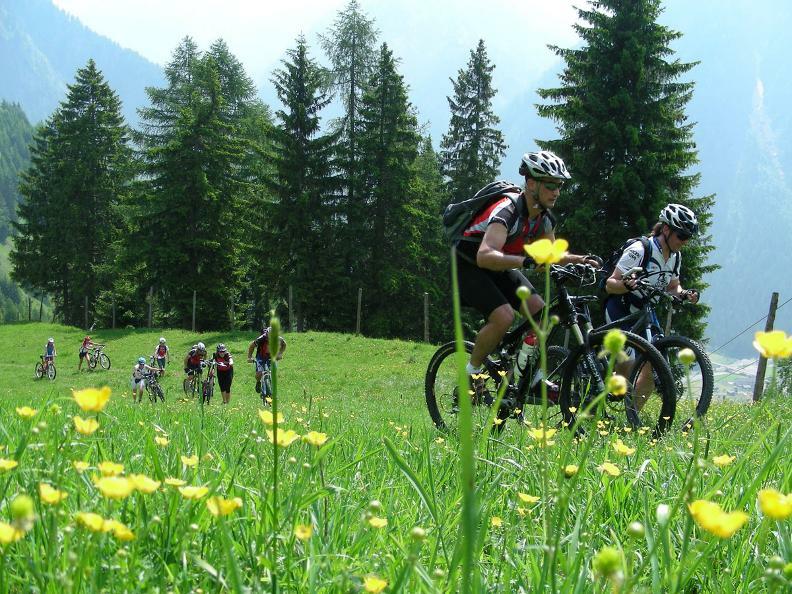 The effort of the climb is rewarded by a smooth descent through pastures and woods surrounded by breathtaking views. The excursion begins in Olivone at 890 metres above sea level, and continues towards Campo Blenio along the old Sosto dirt road, which is part of the historic Swiss transportation network. 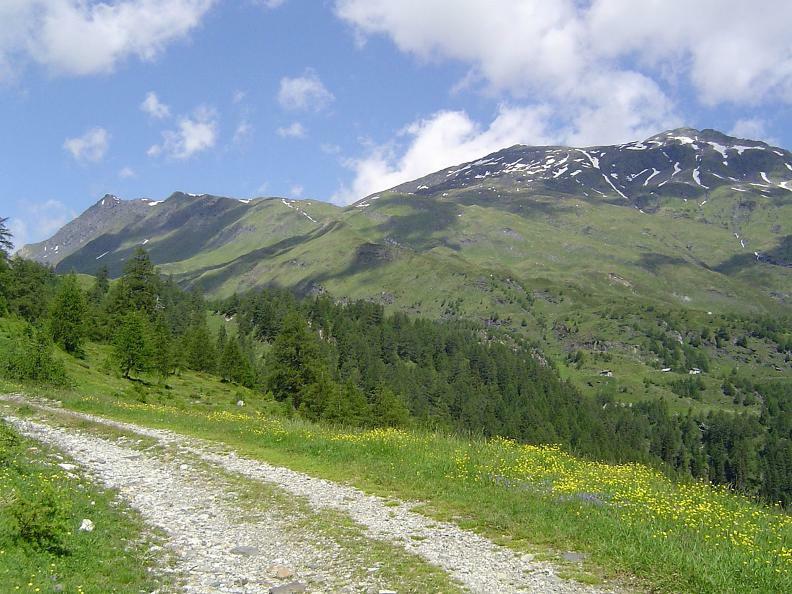 After reaching Campo Blenio you continue on the easier asphalted road that ascends Campo valley. After the hamlet of Orsàira you pass through stunning larch wood pastures, which have recently been enhanced by the local municipality. Aside from adding to the beauty of the landscape, the presence of so many impressively monumental ancient larch is also significant from an environmental and biodiversity point of view. Almost at the edge of the woods is Alpe Predasca at 1,742 metres above sea level. In summer hundreds of cows graze here. Continuing along a dirt road you reach the Capanna Bovarina hut, where you can enjoy fantastic views of the Luzzone landscape and mountain chain overlooking the Greina high plateau on the north-eastern border of the Canton of Ticino with the Canton of Graubünden. Now the fun really starts - with a descent on a single trail of average difficulty. 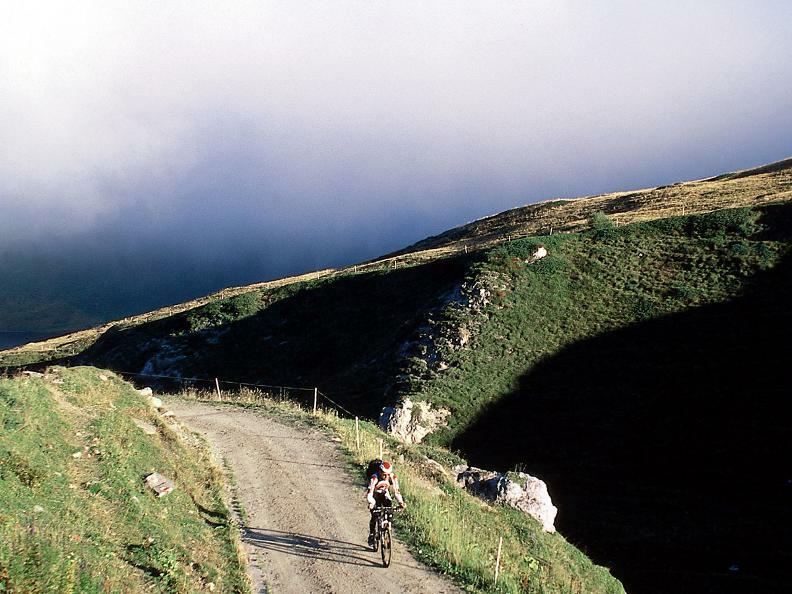 From the hut, the route winds through pastures and woods on a path made especially for mountain bikes, rewarding the effort of the climb with an enthralling, smooth, whirlwind descent to Orsàira. 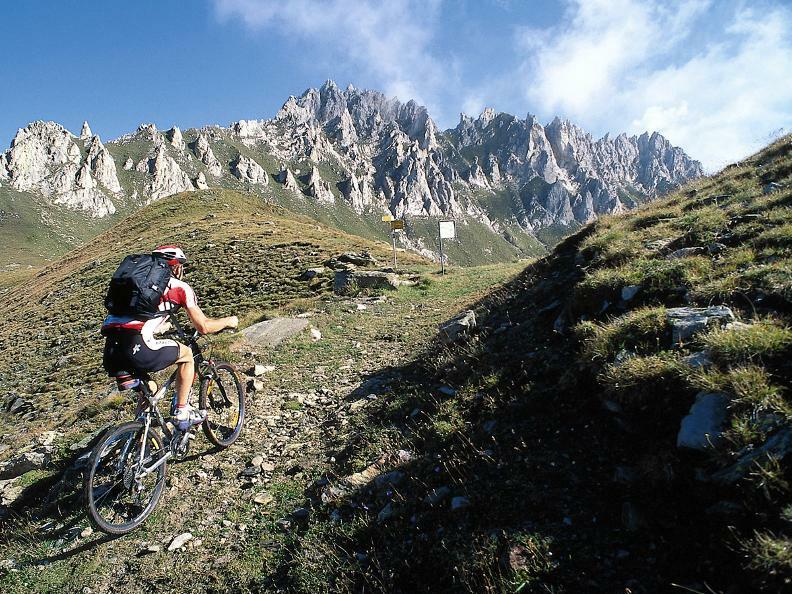 You return to Pianchera on an easy asphalt road which brings you back to Campo Blenio and then to Olivone along the old Sosto road.